Post subject: Exceltoo Hubs . 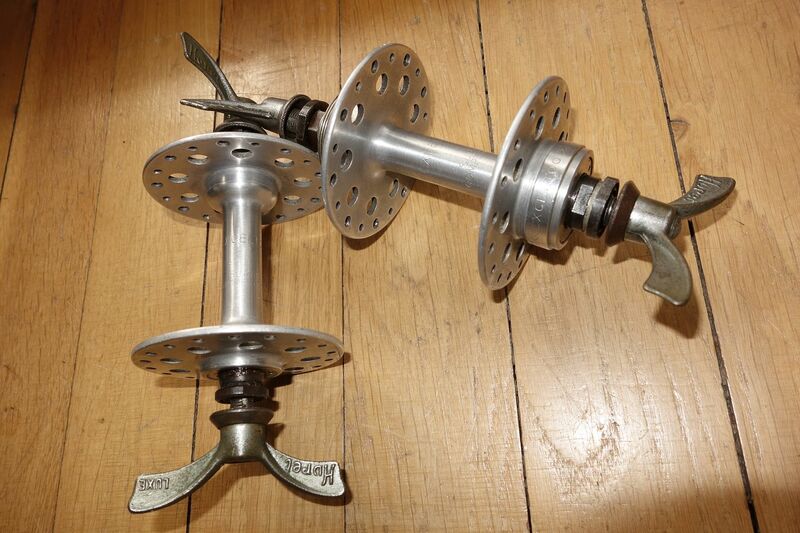 Have just purchased a used pair with Simplex qr skewers . Have polished up a treat . Fw and fixed rear Circa 1970's . Anyone else using them . 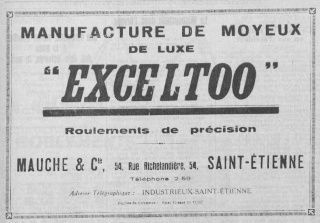 Post subject: Re: Exceltoo Hubs . later version - probably the one you have got abandoned the round holes for the "kydney shape" one. Also known for drum brake hubs. 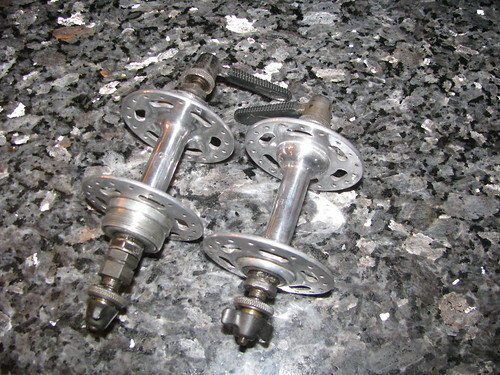 Often used to replace damaged tandem hubs. Francis Thurmer still has some new ones on his ebay site.Alwaya wondered if they were made by Maillard.